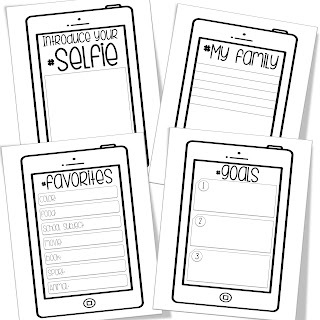 This print-and-go resource includes 8 selfie pages for the students to complete about themselves. The pages are easy for students to complete on their own – they need to answer the prompts and draw a picture (if applicable). When they are complete you can have your students present their booklets as a way to get to know their new classmates. 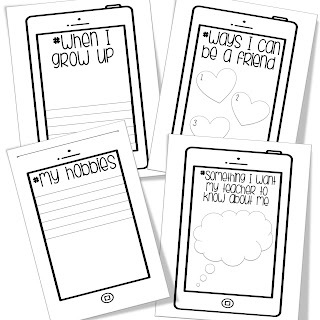 You can even complete one about yourself! 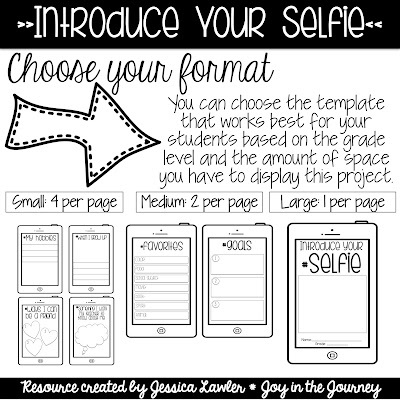 The completed booklets make an excellent bulletin board or hallway display. Simplify your lesson planning today - you'll thank yourself later! 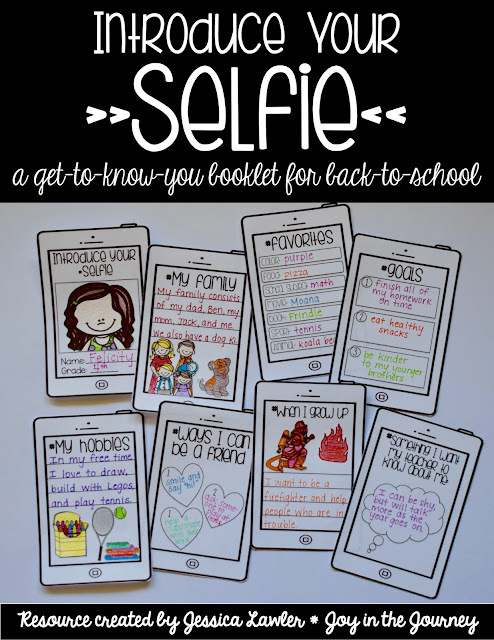 If you use this resource in your classroom, I'd LOVE to hear about it! Send me an e-mail at joyinthejourneyteaching@yahoo.com and I'll feature you on my blog.